Nico Hulkenberg’s manager has admitted it is “not certain” the German will be staying with Force India in 2013. Sauber. And the BBC reports that Hulkenberg might already have agreed a switch to Ferrari to replace Felipe Massa. But his advisor Timo Gans told Germany’s Sport1: “There’s a pretty good chance that Nico is staying with Force India. “This is not certain yet,” he added. “We are not yet in a position to announce something.” Gans said there is no deadline for a decision. Should Hulkenberg move to Sauber, it would be bad news for Jaime Alguersuari, who had been regarded as the favorite to replace the McLaren-bound Sergio Perez. Indeed, after saying recently he is “100 percent sure” he is returning to the grid in 2013, Pirelli tester Alguersuari now sounds less certain. 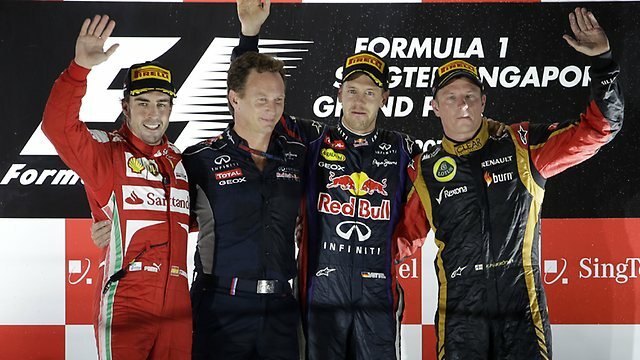 “There has been contact and there is a bright future in Formula One,” he told the Spanish website caranddriverthef1.com. “Obviously, I have nothing on the table signed as I am waiting to see what happens with the latest moves,” added Alguersuari. Italiaracing said there has been some contact between the young Spaniard and Force India, whose Hulkenberg and Paul di Resta have both been linked with moves elsewhere. Switzerland’s Blick said Red Bull reserve driver Sebastien Buemi could be another Force India candidate. Michael Schumacher may not be returning to retirement. Much like in 2006, when Ferrari replaced him with Kimi Raikkonen, the seven time world champion has now been elbowed out at Mercedes to make room for Lewis Hamilton. Some expect the 43-year-old to now return to retirement, or take up a job offer on Mercedes’ management side. But Schumacher has also been linked with Sauber, whose Sergio Perez will move to McLaren next year to replace Hamilton. Schumacher’s manager Sabine Kehm was spotted in conversation with Sauber chiefs Peter Sauber and Monisha Kaltenborn recently. “I don’t want to give him (Schumacher) advice, as I sure he will consider his future carefully and calmly. We will see what he decides,” said Niki Lauda. The fact Lauda is not simply wishing Schumacher well for his retirement is significant, as the Austrian legend is set to join Mercedes as non-executive chairman. “I don’t know the details,” the triple world champion told SID news agency, “but generally I don’t think he is too old for Formula One. “His comeback was surely not as good as he imagined, but in those three years he never had a really fast and reliable car,” added Lauda. Swiss commentator Marc Surer, meanwhile, said it is fairly obvious that the loss of the Mercedes seat was “not voluntary” for Schumacher, as the great German has insisted for weeks that he will only announce his intentions in October. Vitaly Petrov’s Formula One career is in crisis, after his manager called off talks with prospective teams over a 2013 race seat. Oksana Kosachenko told the Russian news agency Ria Novosti that the former Renault and now Caterham driver’s sponsorship funds have dried up. She said recently she was in talks about 2013 with three or four teams. “We’ve taken a timeout now,” Kosachenko said on Tuesday. “I need time to consolidate all our financial possibilities and understand if there’s sense in continuing any talks. Kosachenko said last month that the Russian government had pulled its backing of Petrov, which was in the form of sponsorships from state-controlled Russian Helicopters and chemicals manufacturer Sibur. Petrov, 28, ousted Caterham’s Jarno Trulli at the last minute ahead of the 2012 season, but Kosachenko said she would not spend the winter in similarly urgent talks. She said she would instead look at the possibility of “other projects” for Petrov. As for Petrov’s relationship with Caterham, that appears to be at an end. In the team’s post-race media statement after Singapore, boss Tony Fernandes hinted there would soon be positive news about Heikki Kovalainen’s future. “We’re very pleased for Tony that he has positive news,” said Kosachenko on Tuesday. Paul di Resta has confirmed that he has signed a new management contract after ending the relationship with his previous manager ahead of the British Grand Prix. The Scot split with former manager Anthony Hamilton, father of Lewis, in the build-up to the Silverstone race. Since then the 26-year-old has been guided by Goddard’s Sports Partnership, the same firm which looks after Jenson Button. The split between di Resta and Hamilton came as a shock when it was announced in July, with some speculation Hamilton is now seeking redress for loss of earnings and early termination of the contract. Vitaly Petrov’s manager has warned she will find another pursuit for the Russian driver if they cannot make money in Formula One. Since 2010, when the now 27-year-old made his debut for Renault (now Lotus) before switching to Caterham this season, Petrov has funded his race seats through private backing and sponsorship. But his manager Oksana Kosachenko warned that they may change direction for 2013. “If the presence of a Russian driver in Formula One will be interesting to no one else but Vitaly Petrov and Oksana Kosachenko, we’ll find what to do outside the grand prix,” she told Sport-Express. “Formula One is great and very prestigious, but for Vitaly it’s a job that brings no money. Why? There are many reasons. “In Russia, it’s difficult to sell an athlete, but to sell a Formula One driver is almost impossible,” added Kosachenko.